As a kid growing up you hear all about Gallipoli but it wasn’t to relatively recently that I started to study what happen after that for Australian troops. My desire was to spread word of these contributions via the web site because the bravery and butchery are beyond belief. 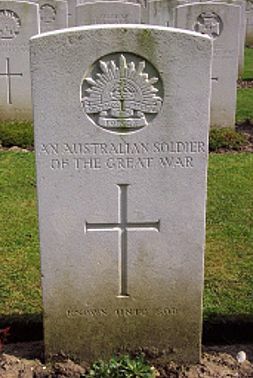 The best example I can give is that during the 9 months of fighting at Gallipoli, Australian were awarded 9 Victoria Cross medals, the highest order of valour. Contrast that to the very last major engagement Australian troops had while on the western front at a place called Mont St Quentin. The result was that three weakened Australian Divisions were able to defeat five German Divisions. The action saw its fair share of heroics, with eight VC’s awarded, and losses, with 20% of attacking forces becoming casualties. The battle was a true infantry victory achieved without the use of tanks or creeping artillery barrage. During that ONE engagement that last around day, 8 (yes 8) Victoria Crosses were awarded to Australian troops. Now how many of you have ever heard of Mont St Quentin? Certainly not I until I started to study it. Engagements like these are perfect example of why we need to pause and remember all those who have fought and died for the benefits we take for granted today. They are perfect examples of why we need to remember the impact that war has not only on soldiers but on their families. They are perfect examples of we need to remember the impact conflicts have on the civilian population and surrounds. So on this 11 day of the 11 month we pause to remember the impact of those who served and those affected by conflict. Hopefully, one day we’ll all learn to live together.